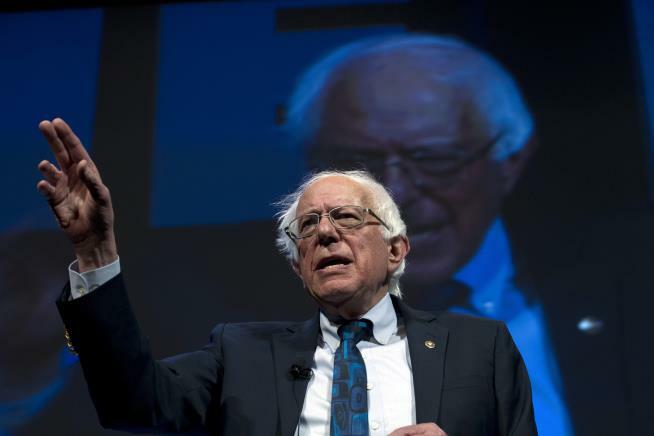 (Newser) – Democratic presidential candidates raised about $75 million during the first quarter of the 2020 election, a lackluster sum spread out across more than a dozen campaigns that signals a drawn-out battle likely lies ahead. Vermont Sen. Bernie Sanders led the field by raising $18 million and California Sen. Kamala Harris came in second with $12 million. Former Texas Rep. Beto O'Rourke came in third with $9.3 million, followed by South Bend, Indiana, Mayor Pete Buttigieg, who capitalized on a flurry of publicity to raise $7 million, the AP reports. The rest of the field of more than a dozen candidates raised $6 million or less apiece. Fundraising figures submitted to the Federal Election Commission by Monday's deadline show Democratic candidates not only lag behind President Trump, who raised $30 million, but took in less than the party did during the same period in the 2008 election. That year eight candidates collectively raised over $80 million despite a maximum donation amount hundreds of dollars less than the current $2,800 cap. Part of the difficulty is many donors are staying on the sidelines, waiting for the field to thin. At the same time, low-dollar contributions from party's base, a source of money that helped Democrats retake the House last year, haven't made up the difference. Analysts say the situation could change after the first debate in June—or if Joe Biden enters the race and raises the expected "boatload of money." Gigantic flushing sound on it's way to the septic tank. Must be tough getting money from people who don't want to work and demand everything for free! Not to worry. Once creepy Biden enters the race and starts feeling up the donors and children, the money will just roll in.